This Is How Roller Blinds Will Improve Your Decor! 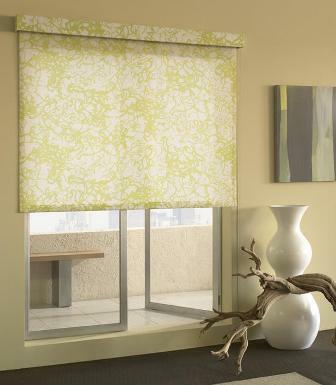 Modern roller blinds are a great way to create a trendy look for your home or office. They’re cost-effective, easy to operate and look fantastic! See our selection. Today’s roller blinds are manufactured from fine weave fabrics with a PVC backing, providing excellent light blockage and exceptional privacy for years of easy operation. For those who prefer more pizzazz to their window shades, roller shades provide several exceptional decorative options for choosy homeowners. Whether its bold patterns or stylish accents that accent a fashionable color scheme, roller shades come in a variety of designs and patterns to suit the most discriminating taste. Climate stresses can affect the tone and comfort in a home. That’s why today’s modern roller shades have evolved for the option of using light filtering solar shades to regulate the temperature within a home. Window shades are climate controlled fabric shades paired with high quality polyester backing that can help to reduce up to 80% of the sun’s heat providing a highly effective way to reduce a home’s energy consumption by keeping rooms cooler while balancing humidity plus temperature. An additional plus to the use of modern window shades in the home is their ability to block out sunlight allowing people who work during the night to sleep peacefully during the daytime. Current trends in interior design provide wonderful options to create a decorative look for the home. Pairing cream and natural striped roller shades can bring a calm relaxing air to any room while pairing premium sand and earth tones with sky blue can create a peaceful look for a child’s room. For a classic country look, try matching deep earth sand tones with burgundy for a warm relaxed feel for living rooms and dining rooms. Pairing varying shades of blue with green accents to matching valances can bring a very put together look for a teenager’s bedroom. The latest decorative accents abound for modern roller shades allowing for special personalized touches that include scalloped hems paired with color-coordinated trims for an overall seamless look. Personalizing your roller shades is a snap with shaped bottoms and fabrics that come in stripes, flowers and geometrical patterns. Parents will appreciate that modern window shades come with cordless lift operating systems that can help keep their children safe. Most modern shades are easy to clean using a soft cloth or vacuum cleaner attachment giving a wonderful feeling of freedom to allergy sufferers. Allow your window treatments to add a stylish statement to your home! Contact Blinds Exact for a quote on roller blinds today! For fabric roller shades cleaning, check to see if your window shades come with the (P) symbol that lets their owners know that they can be dry-cleaned. 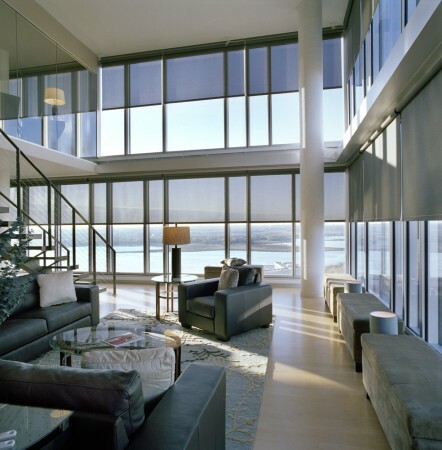 Roller shades are also an economical alternative to more expensive window treatments. 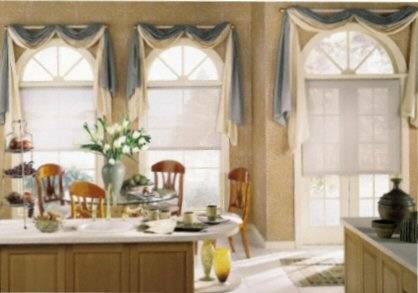 Where traditional window treatments such as custom made curtains and valences can run into hundreds of dollars. In these more fugal economical times, today’s window shades provide stylish window fashion at affordable prices.